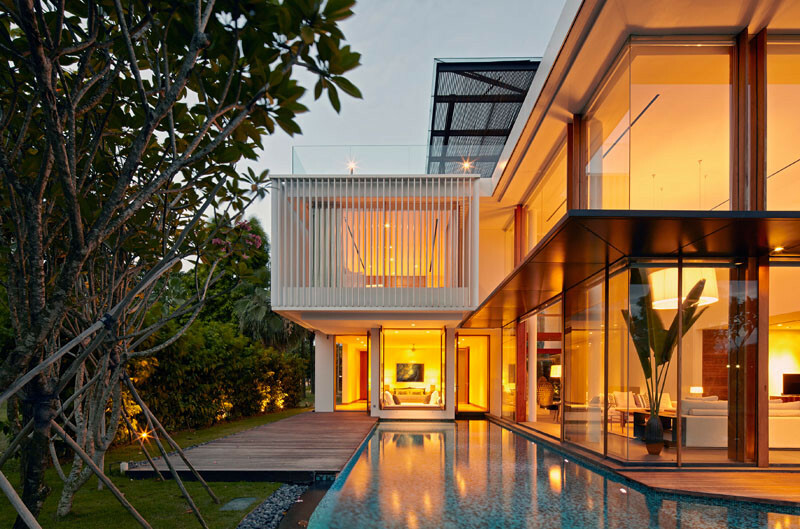 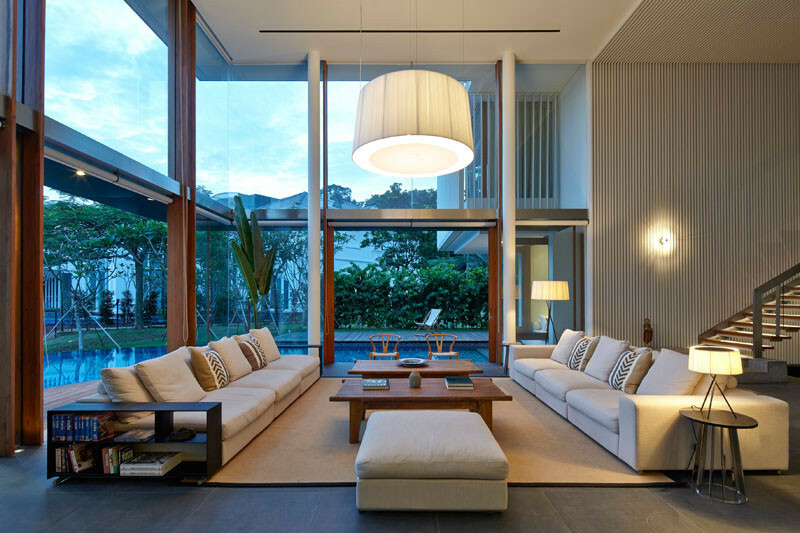 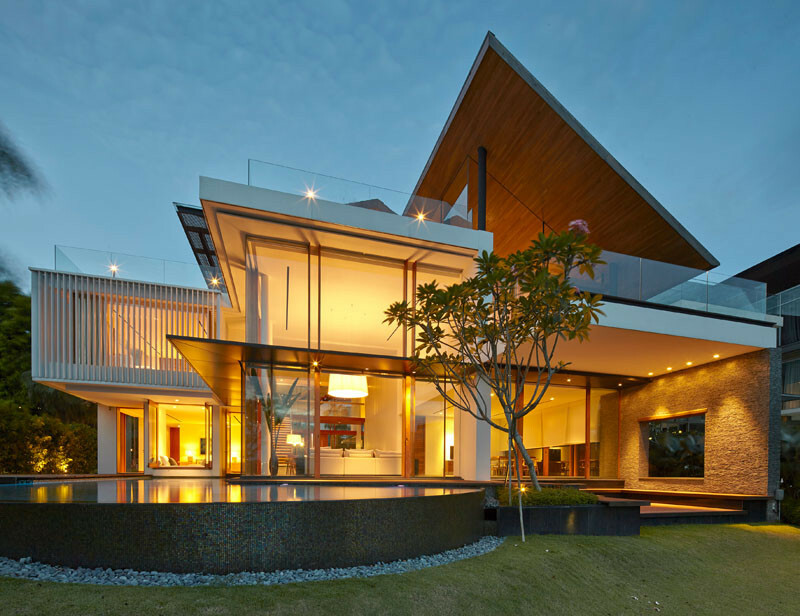 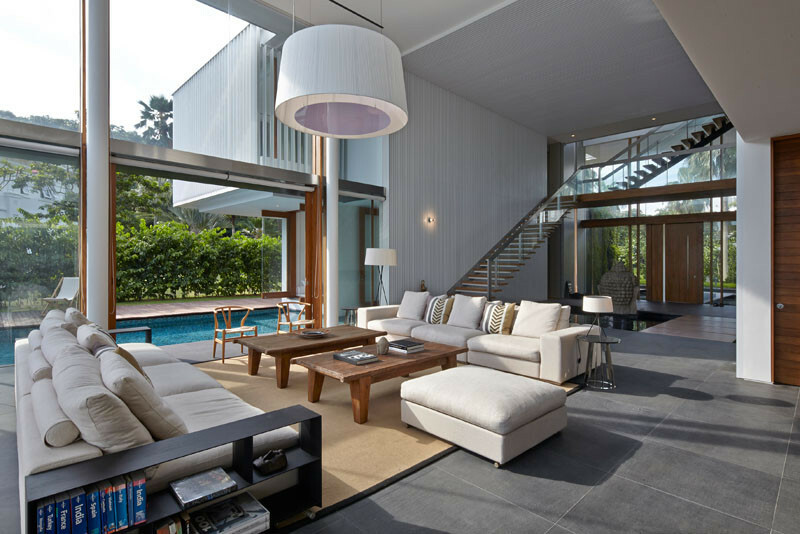 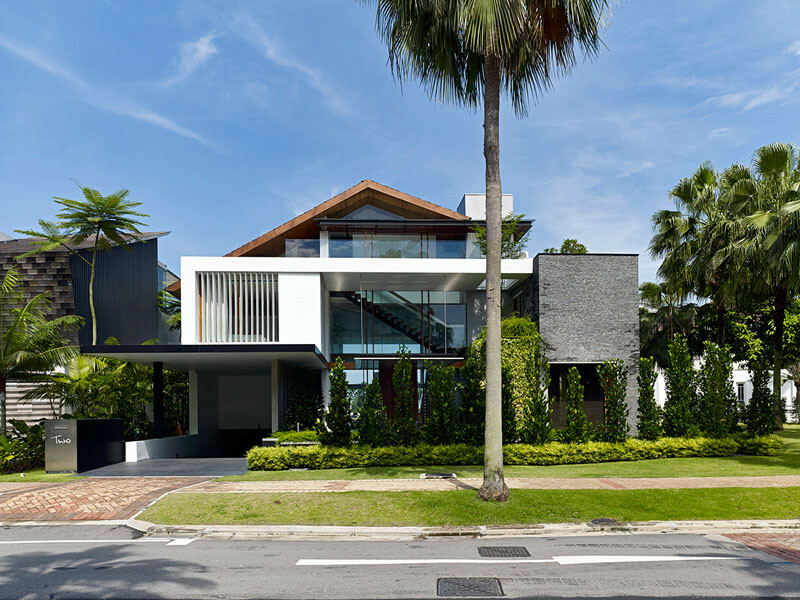 Greg Shand Architects designed this new home in Singapore, located within the residential area of Sentosa Cove. 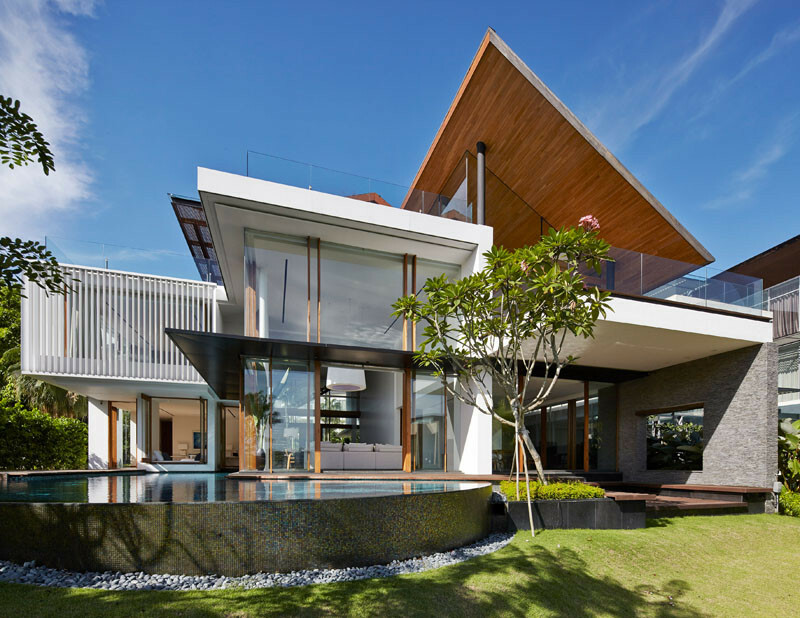 The architects were commissioned to design a home that would capture the natural elements and provide a resort-like yet homely retreat for a multi-generational family. 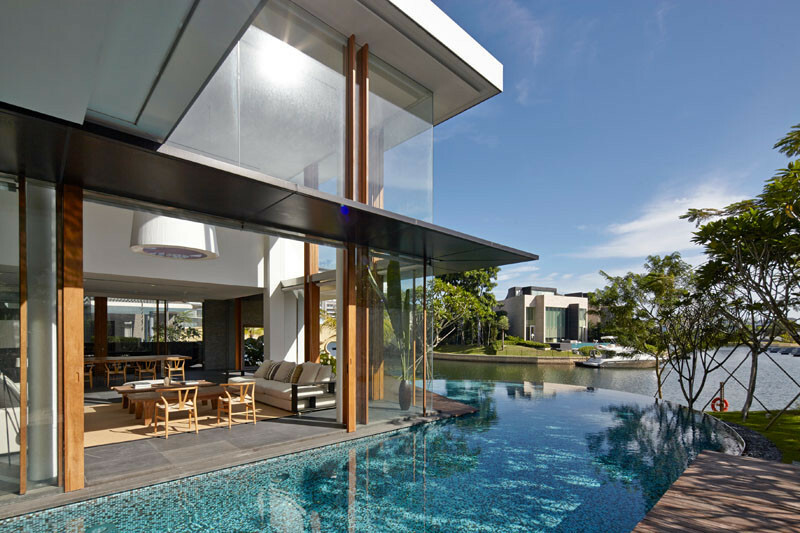 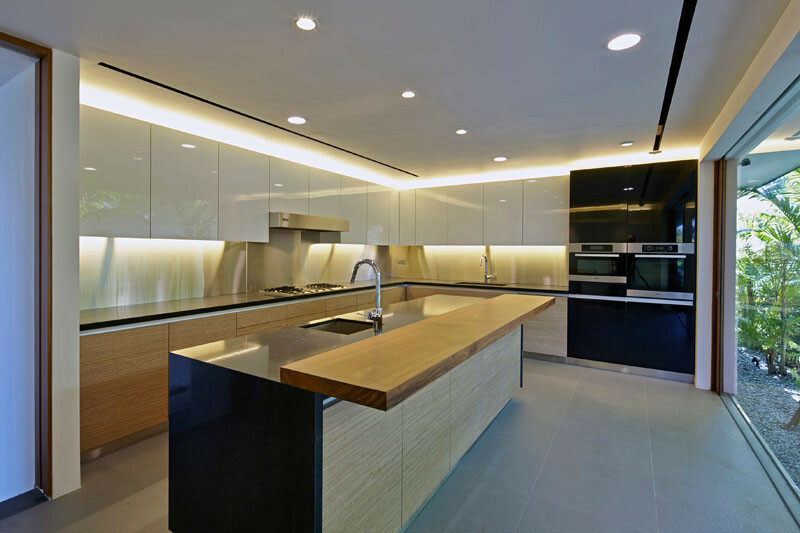 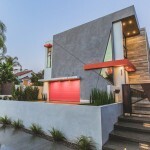 Included in the home design is an abundance of water areas, like a swimming pool and four ponds. 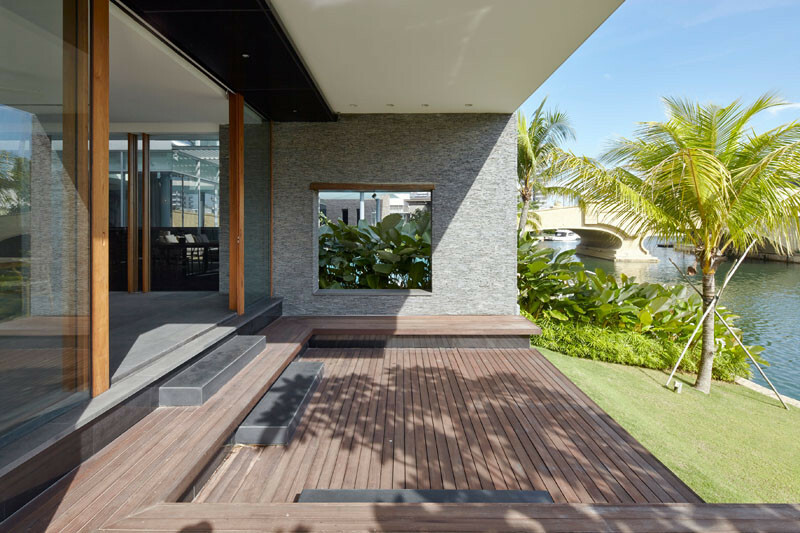 The rear of the home faces a canal, and also has a private boat berth. 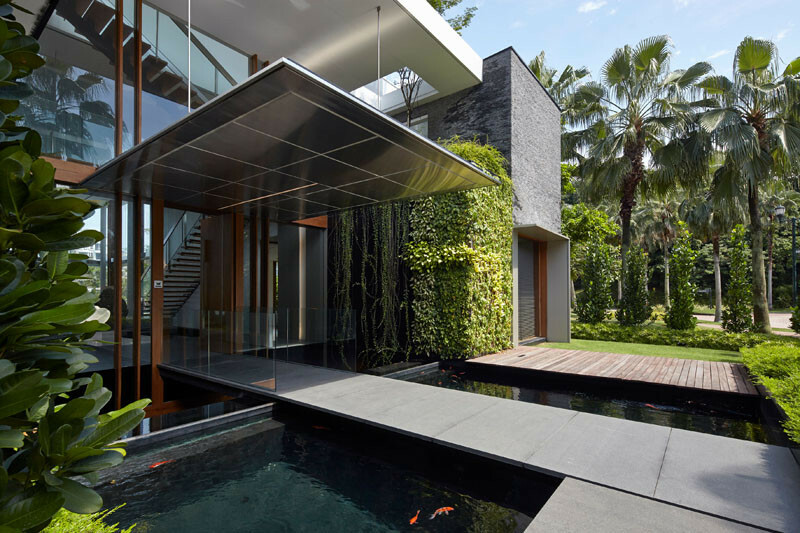 The water found throughout the home isn’t just for looks, it also promotes air movement around the house, helping keep it cool. 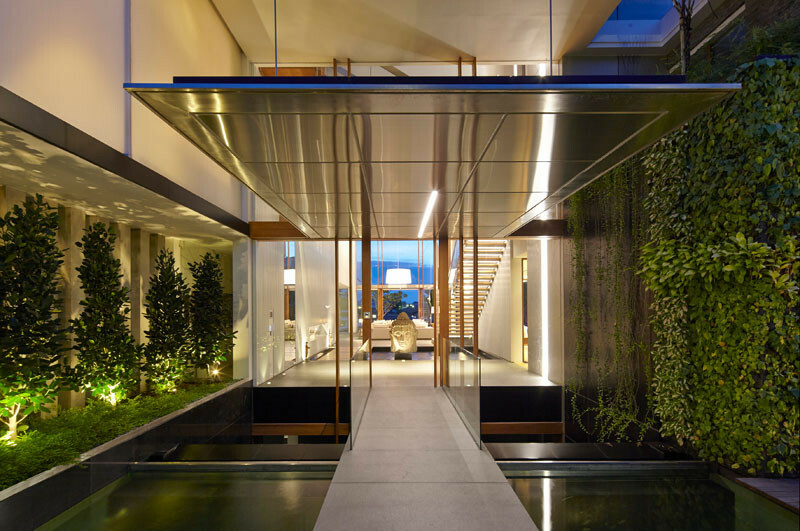 To enter the home, you cross a bridge above a koi-filled pond. 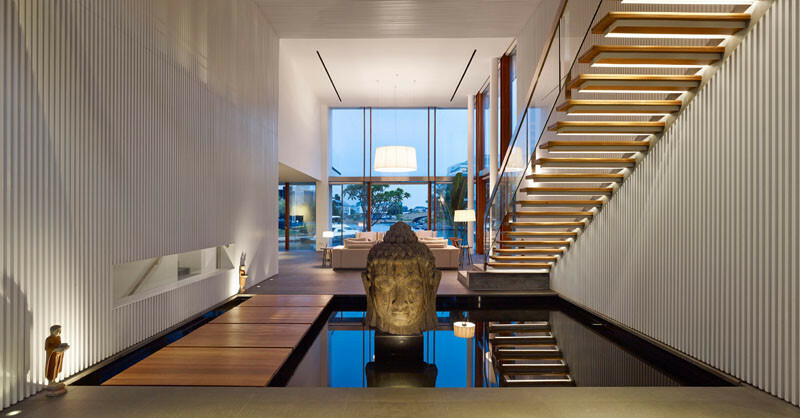 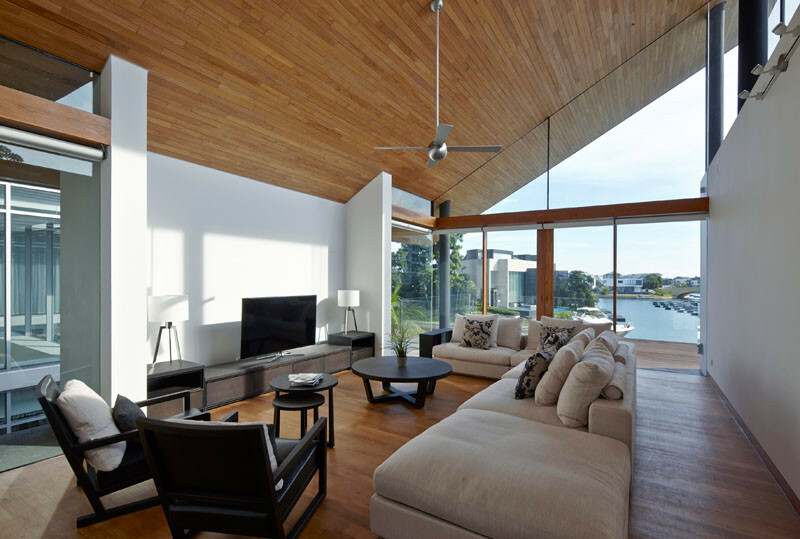 A floating teak walkway guides you to the living room. 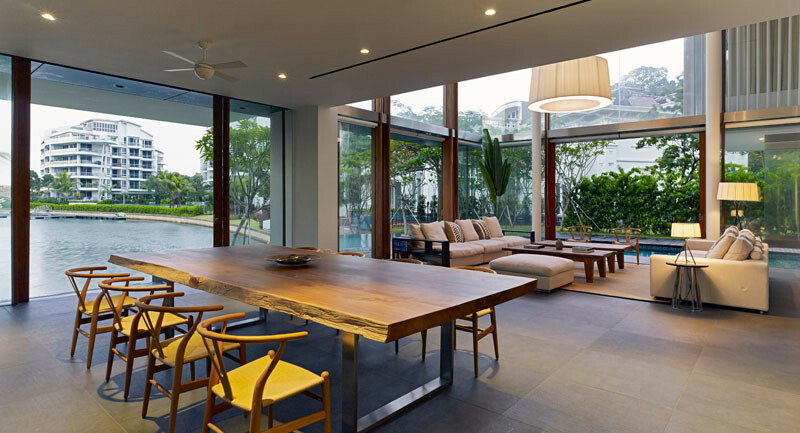 The double-height living room is the heart of the home. 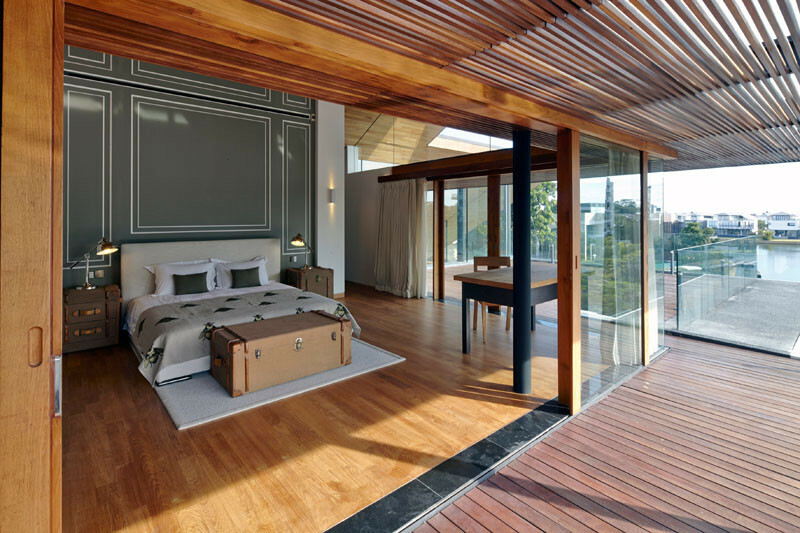 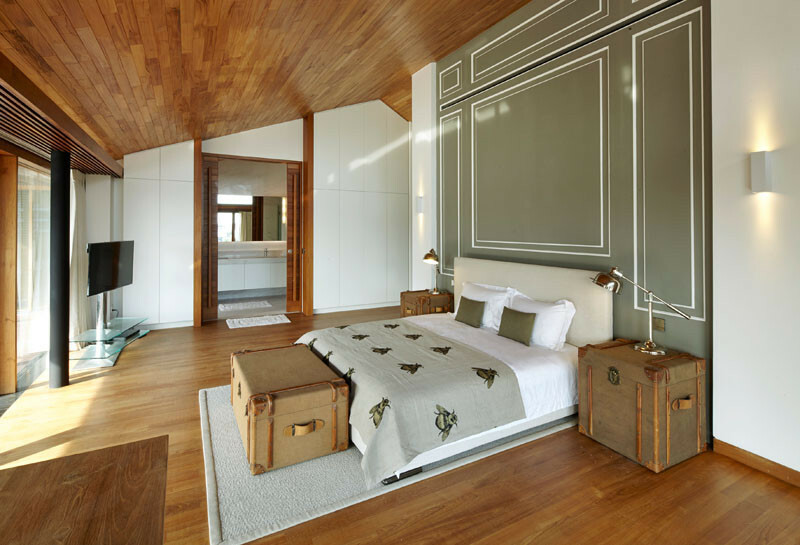 The bedroom also opens up onto a large balcony.